Childish Gambino – Feels Like Summer (Music Video). Childish Gambino comes through with his Feels Like Summer (Music Video). 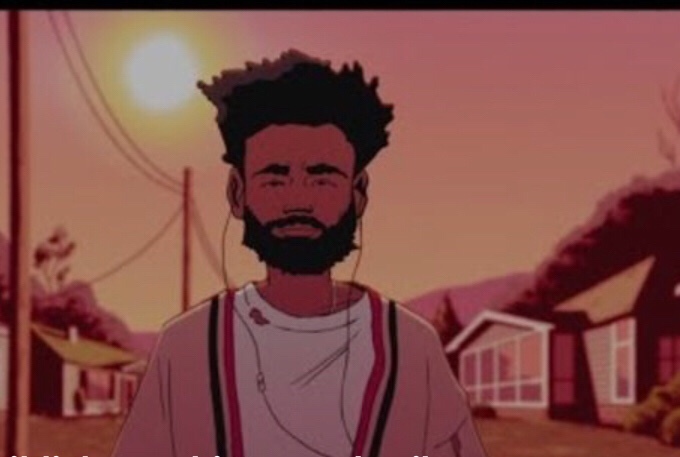 This go ’round, the clip is animated and features Gambino as he plugs into his earphones and takes a stroll down his block. What comes next is pretty cool as some very familiar faces take on the roles of neighborhood occupants. You’ll catch Lil Pump and Trippie Redd as a duo of neighborhood kids fascinated with the older crowd, bothering 21 Savage and Metro boomin as they roll up in a car and hanging onto Soulja Boy’s every word as he tells them a story. You’ll likely notice Migos as they play basketball in a driveway, Travis Scott and Nicki Minaj as they play with toys on a front lawn, and even Drake as he chases after Future who is seen speeding off on a bicycle. Other tributes go toward Fredo Santana, a MAGA hat-wearing Kanye as he is embraced by Michelle Obama and even an Off The Wall-era Michael Jackson.